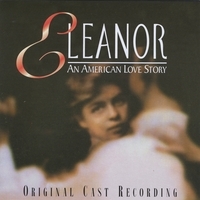 Critically acclaimed musical about the young Eleanor and Franklin Roosevelt - set in a bittersweet world of romance, infidelity and politics. Tells Eleanor's dramatic journey from shy, young aristocrat to champion of the downtrodden. "John Forster's lyrics have a silvery, shimmering beauty, like the haunting melodies that composer Thomas Tierney has woven into this dramatic tale."